Paul’s academic qualifications include a Bachelor of Applied Science in Physiotherapy, a Diploma in Education (Physical Education) and an Advanced Diploma in Business Management. For the past 20 years Paul has owned and operated multiple Get Active Physiotherapy and Rehabilitation Clinics in Australia – with many of these clinics located inside fitness centres – thus his interest in exercise rehabilitation. Paul has been actively involved in clinical education around the world having lectured to over 20,000 health professionals - in the areas of program design, injury prevention, rehabilitation and business development. As a business owner and clinician – Paul identified very early in his career the importance of excellent professional education for himself and his team. Paul subsequently began recording his team’s in-services, his own professional seminars as well as contacting other clinical educators to make available an inexpensive yet easily accessible range of technical presentations that all health professionals can benefit from. This was how PhysioProfessor.com was born. 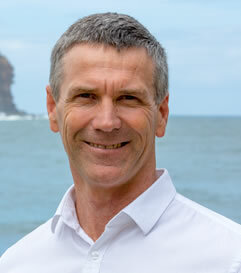 Having recently sold his Physiotherapy clinics – Paul continues to present his technical and business material to fellow health professionals in live seminars and webinars, is always looking for more excellent content for his PhysioProfessor.com website whilst also expanding his business building materials for health professionals. "I have been producing and recording our professional education in-services for many years and I am pleased to be able to finally share these and other high quality sessions with fellow health professionals. I have used these presentations to attract and train new team members for many years with great success and I am sure you will enjoy the same results."